Employer branding cuts across all aspects of a business, from the talent acquisition process to the user experience. In a cutthroat recruiting landscape, your organization’s brand must be compelling. And if you want to attract talented veterans, it must go one step further and be perceived as a great place for veterans to work. According to LinkedIn, more than 75 percent of job seekers investigate a company’s reputation and employer brand before applying. A strong brand can be the deciding factor in whether a qualified veteran candidate signs on with you or goes to a competitor. Talent acquisition marketing is shaping up as one of the top recruiting trends to watch in 2019. With the unemployment rate at a 50-year low, recruiting has undergone a seismic shift. Candidates are now running the show and must be courted in much the same way that customers are. What are your organization’s core values? How do you demonstrate them? Is there something special about your company culture that keeps employees there? These elements should be clearly defined and used as pillars in your veteran outreach efforts. Does Your Brand Compel Veterans to Work for You? 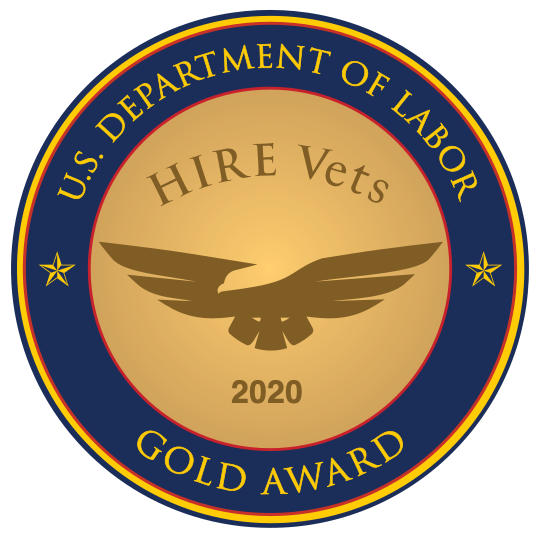 Determine which elements of your opportunities and corporate culture will connect with the veteran community. One of the best ways is to start with what veterans know well: other veterans. Use your own military employees’ testimonials and photos in your marketing. Veterans are trained to contribute to a team, so team building experiences will resonate with them. Does the career section of your website include a section for veterans? That’s an ideal place to lodge interviews, videos, and stories about veterans working successfully in your company, as well as information about your veterans’ resource group (VRG), as discussed in Part #3 of this series. Then use those stories on social media to get the word out about your veteran-friendly culture. Studies show that a strong candidate experience helps build a stronger brand. One of the most common complaints that job seekers take to social media is “I applied, and nobody called me back”. What is it like for a candidate navigating the hiring and recruitment process at your company? Do you follow up in a timely manner? Do you arrange for candidates to meet with other veterans? Does your dedicated program leader reach out to veteran applicants in the ATS? Candidates who had a positive candidate experience in your recruiting process are more likely to accept your job offer and refer their buddies to your company. Conversely, bad experiences travel quickly in cyberspace, which can negatively impact your hiring goals.